Who doesn’t like shiny hair? In that case, investing in the best hair straightener is what you would be considering. The Hair straighteners are also referred to as flat irons and help you address every kink that your hair strands may have. Investing in a hair straightener should ideally be a thoughtful process as you would be using it year after year. 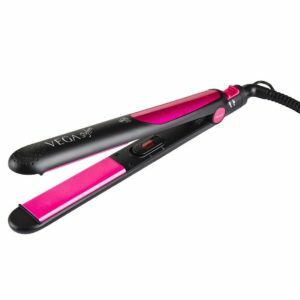 We have featured the review of top 5 hair straighteners you can find in India by considering several factors like faster performance, brand, affordability, etc. While you need a hair straightener for styling, you need to invest in a heat protectant like the L’Oreal Paris Hairstyle Sleek It Iron Straight Heat Spray that protects your hair against breakage caused by styling and also creates a moisture screen for your hair, so it doesn’t feel dry. Needless to say, opting for a hair straightener should be a daunting task in its own, right? Hair straighteners are ideally quite versatile in nature and should work with almost all hair types. 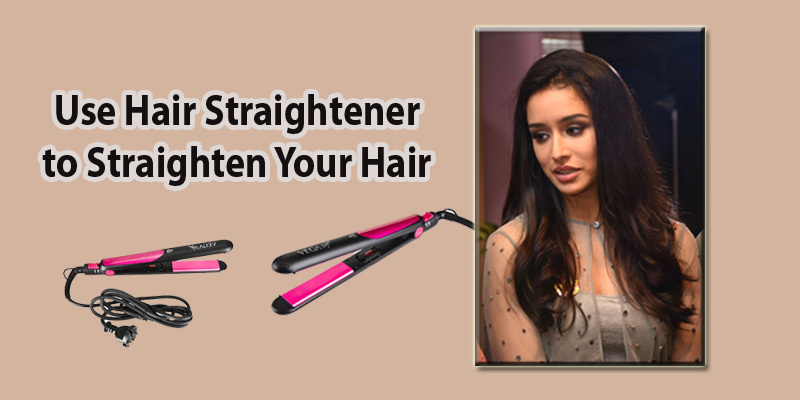 Here are top 5 points you need to pay attention to when opting for the best hair straightener in India for your hair. Plate type has a huge consideration while buying a hair straightener. Choose the plate depending upon your exact need. Ceramic Plates heat up real quick. There is no friction between the plates, and thus you can be assured of low hair damage. Opting for solid ceramic will ensure that heat is retained in the plate and thus help you avoid going over the same place repeatedly. You also have other options like Tourmaline Ceramic Plates, Ceramic Diamond Plates with Teflon, etc. Go for the straightener with a faster heat up time. Heat up time of 60 seconds should be the best you may go with. The plate width should depend upon your hair type and strength. If you have short/thin hair, go with the plates that are 2.5 to 3 cm wide, the heat of broader plates might be too much for your hair. The plate width of 3 to 4 cm is suitable for medium hair, while if you have long, thick hair – you may opt for a plate width of 6 cm. This is one of the important aspects of hair straighteners. The high temperature should be the best to go with, but may not be suitable for all hair types. For normal hair, heat around 180°C to 200°C should be good enough. If you have thick and frizzy hair, go with the high temperature. For thin hair, opt for low temperatures. It is easy to pick up a cheap hair straightener, but it does not mean that the most expensive is always the best. Cheap hair straighteners usually do not last longer and also they may damage your precious hair due to uneven heating or overheating. So do not pick up the hair straightener only due to its attractive pricing! Now that we have seen the top 5 factors which one should consider before buying a hair straightener, it’s time to check out some of the best hair straighteners in India. 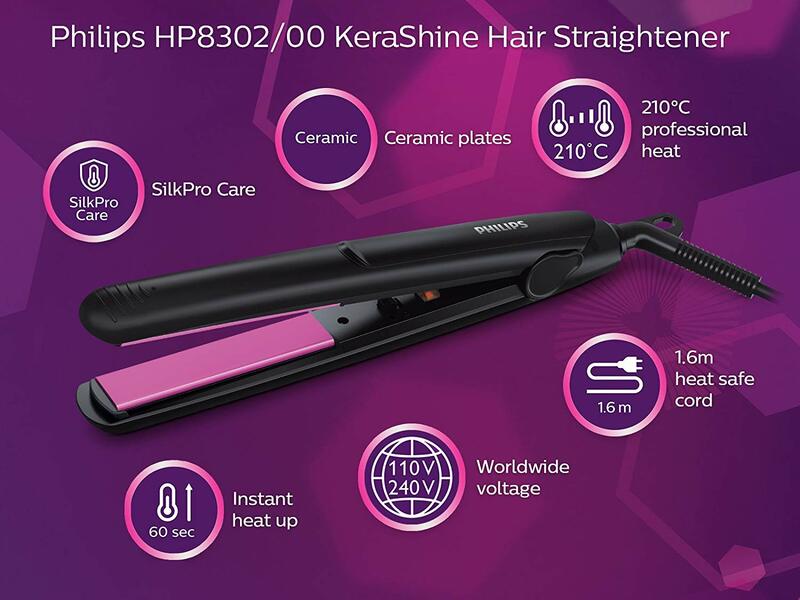 Philips is one of the best hair straightener brands in India, and Philips HP8316/00 Kerashine Hair straightener is one of the best hair straighteners in India. 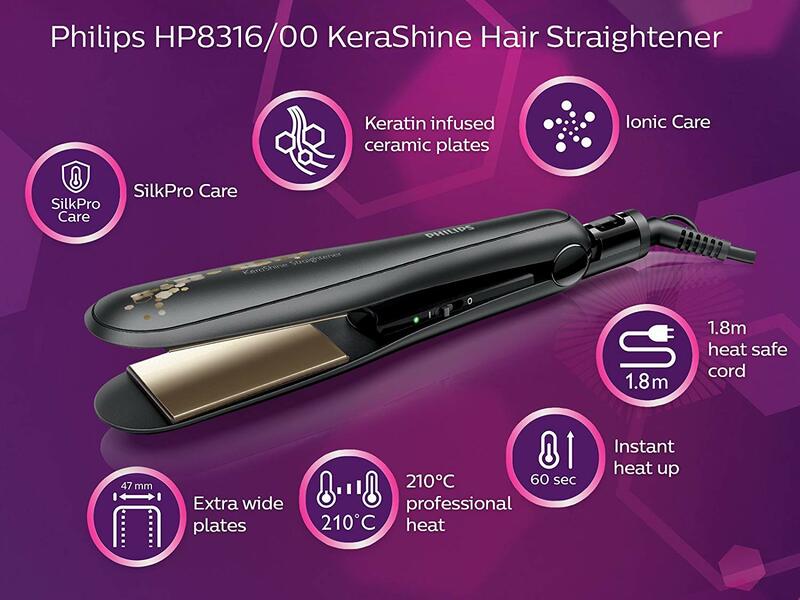 For Philips HP8316, the Keratin Infusion for the ceramic plates is what would make it one of the best choices. It has wider plates with ionic technology. The plates are quite extra-large and should be ideal enough for the thicker and longer hair. The Instant heat up functionality offers faster heating up in just under 60 seconds. The swivel cord will help you maneuver the straightener without tangled wires. As the name talks about Kerashine, to get the best results out of this hair straightener, do use a little hair oil or hair serum. A basic difference between hair oil and hair serum is, hair oil is meant to sink into your scalp to nourish your hair health, whereas hair serum is meant to sit and the top to style your hair. The Philips HP8316 can straighten your hair instantly, and the effect will last at least 2 to 3 days. But If you stay in the humid atmosphere, then your straightening effect might not last long. Heat up time under one minute. It has only one temperature setting. Q: Does it give an ironed look or blow dry look? A: It gives a shiny and frizz-free look to your hair. Q: Does it have a lock and temperature control? A: It does have a lock, but there is no option to control the temperature, however, after the temperature rises to a certain degree (around 210° C), it becomes constant. Philips HP8302 Essential Selfie Straightener should be the simple and straight option you can go with, which is priced around INR 1,100. Since Philips is considered to be one of the best hair straightener brands in India, the HP8302 is one of the best Philips hair straighteners under INR 1,500. As the name should indicate, the hair straightening achieved with this device should last around 2 to 3 hours. Although it looks like a vacation product, the effect is good. The 1.6m swivel cord is one of the options you will like the most as it gives you the freedom to use it freely enough. The instant heat up time of around 60 seconds will make it ready for use right away. Faster heat up time – ready to use in 60 seconds. The ceramic plates will ensure a lower level of hair damage. It suits worldwide voltage options. SilkPro technology ensures beautiful straightening options. Hair straightening lasts not more than 2 to 3 hours. There is no option to control the temperature. Q: Is it recommended for daily use? Q: Can Philips HP8302 hair straightener curl hair? A: No, HP8302 is not a good option to curl your hair, you may rather opt for Philips BHB862 Hair Curler for good curls. 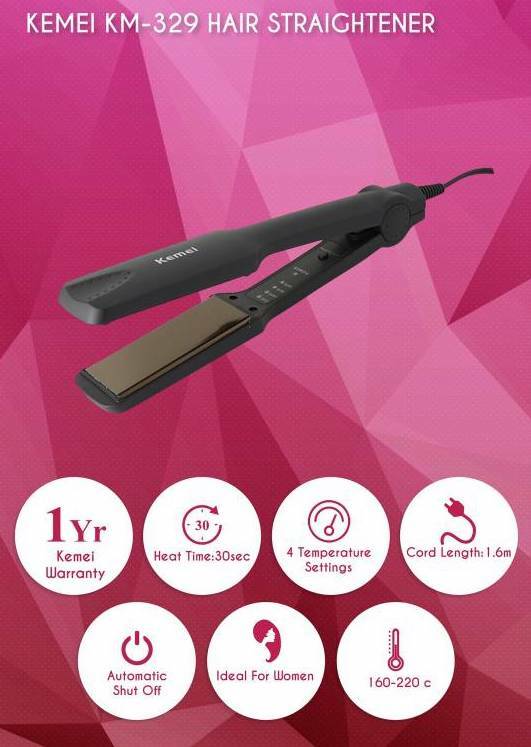 Kemei KM-329 Professional Hair Straightener is one of the best hair straighteners in India under INR 500 with ceramic plates and effective temperature control. It offers you a heavy duty and maintenance-free operation. It comes with the fastest heat up time of just under 30 seconds. The cord comes with a rotating hinge to make working with it simpler enough. The wider plates will help you work with thick and long hair. Four different temperature setting option should make it one of the excellent choices you can go with. You can opt for temperatures between 160°C, 180°C, 200°C and 220°C. Four temperature settings (160°C to 220°C). Fastest heat up time of 30 seconds. One of the best hair straightener under INR 500 in India. Not recommended very curly frizzy hair. Straightening doesn’t last long enough. Less warranty – 1 Year Kemei India Warranty. Q: Does its outer body become hot while doing hair straightening? A: No, you can very well handle the straightener. Q: Will my hair colour change on using this product? Vega VSHS-06 can help you to create polished hair through simple steps and comes with ceramic coated plates. It is one of the best hair straighteners for a curly hair under INR 1000. The heat dissipation is even and offers you an excellent finish to your hair. The straightener can suit for curls, flips or even waves; you might opt out if you have thick curls. The 360-degree rotating swivel cord ensures that you can help you with using it without tangling cords. The lock that comes with the straightener will help you avoid the wrong operation. It can reach up to a temperature up to 200°C. The lightweight should be an aspect to prefer VHSH-06. An efficient on/off switch with LED power indication. The straightener works only with dry hair. Straightening will around a day. Q: Can I use it for wet hair? A: If you have wet hair, it may be a no-go option. However, you can use it for towel-wet hair. Q: Does it have an automatic shut-off? Nova NHS 860 Temperature Control Professional Hair Straightener can be another good hair straightener for a curly frizzy hair under INR 500. 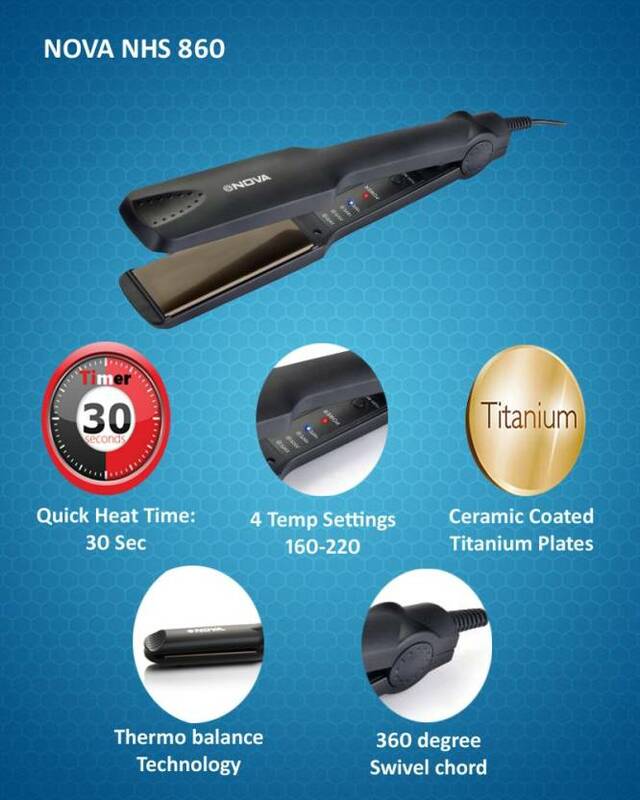 The straightener comes with a Nano silver technology and offers you heat up time of just under 30 seconds. It would suit both wet and dry hair. It has the temperature control functionality to adjust temperatures from 160 to 220 degrees. Faster heat up time of 30 seconds. Can suit both wet and dry hair. Digitally controlled auto shut off. Q: Is Nova NHS 860 portable? A: Yes it is small in size. Q – Will it work on curly hair? A – Yes, it can work with curly and frizzy hair. That should conclude our short guide on the best hair straightener in India which you can opt for, wherein a majority of the products are having ceramic plates. We have made an attempt at including products that would meet the needs of the fashion lovers across genres. Choose the straightener that best meets your needs. If you feel we have missed any important options, do share them with us in the comments below. Moreover, if you need some very good tips for caring your hair, you can read our article about taking care of your hair using various tips. Featured image: Pexels with editing.